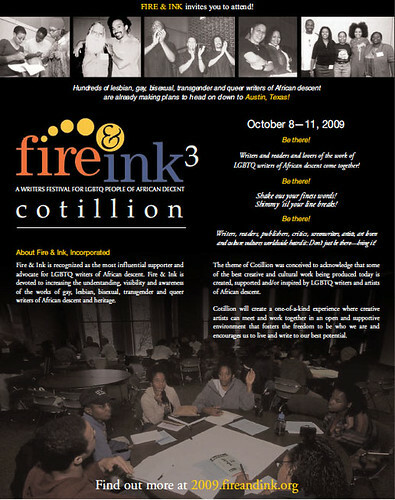 Check out this slick new ad for the upcoming Fire & Ink III: Cotillion! Want to share it? Well thank ye very much! And check out your community lgbt-black-writer-supporting media outlets — we just might show up there! How about yours?